Today I am in San Luis Obispo, CA. visiting my oldest son who will be graduating this year from Cal Poly. 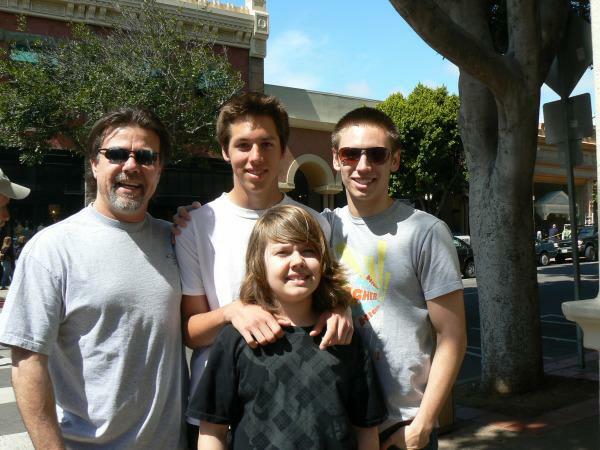 Last night, we packed up the car, loaded up the boys, and headed down to Southern California to see Big Brother. What an exciting time it has been. 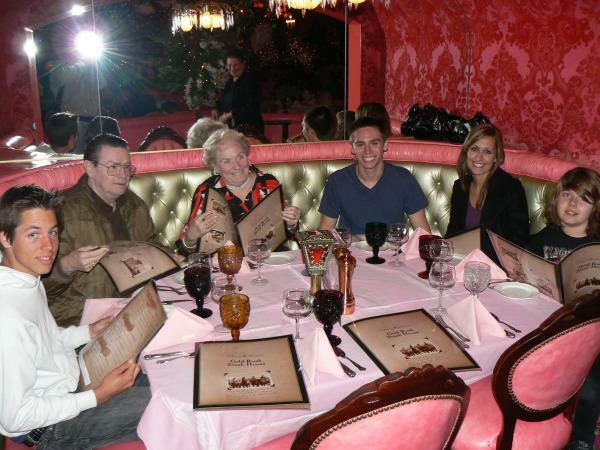 Our first stop was for a steak dinner at the Madonna Inn. Man, what a place. It was like being in some kind of fantasy land, almost like we had fallen into the rabbit hole. 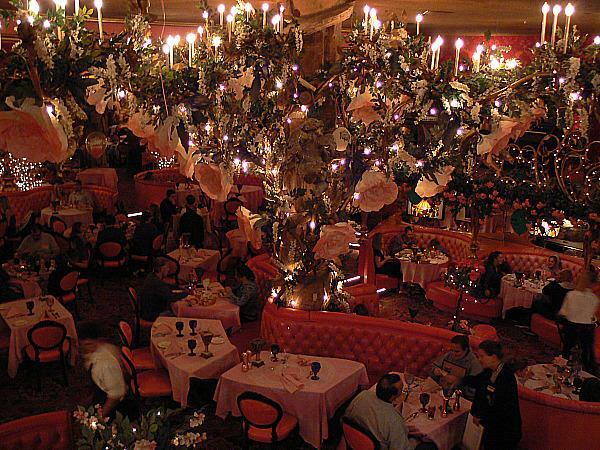 The food was awesome, the place is spectacular, and the company was the absolute BEST! This morning we decided to head downtown to do some window shopping and see what kinda trouble we could get into when we saw Chuck Lidell from the UFC, just walking down the street with a couple of his buddies. We think he was headed to Firestone for some dinner. Chuck is one of the greatest fighters in the UFC. He actually waved to us, and said hi. What a great guy. That is until we came to the “Gum Wall!” Now I know that sounds gross, but it was definitely a kodak moment. 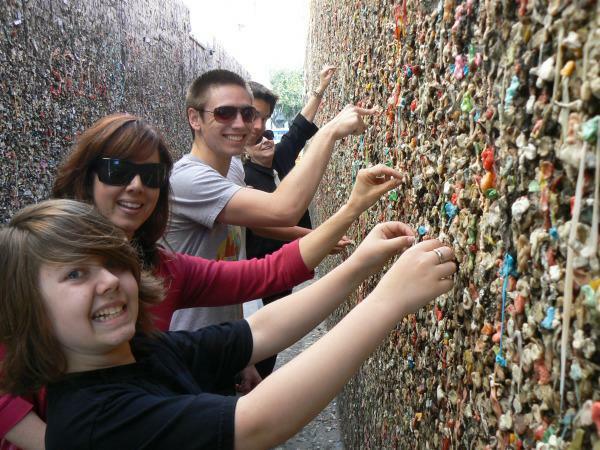 My mom bought everyone a gumball so we could take part in the great tradition of putting our gum on the “Nastiest Wall on Earth!” Oh, the hidden joys of life! So now that I’m back at our Hotel, I just wanted to share all this with all our AR friends and family, and most importantly, we wanted to wish everyone a safe and Happy Easter. I hope you’ll find and take the time to create and share some special memories with your family and friends just like we have today. I’m looking forward to reading all about your Easter Celebrations this weekend. 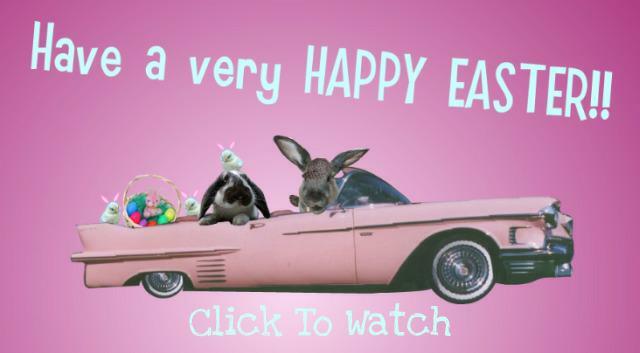 Be Blessed and Enjoy!